What if common treatments recommended by your vet are causing deaths in dogs and cats? ‘Does Bravecto Kill Dogs?’ is a popular Facebook group with over 25,000 members dedicated to fighting the use of the popular 3-monthly flea control. What’s the truth? Can this product really be causing these illnesses and deaths? If so it’s a disaster. Bravecto is one of the most commonly used treatments in pet dogs and cats on the planet. What’s worse, this follows close on the heels of the Beneful and Trifexis controversies. Are Pet Drugs & Medicines Dangerous? How is it that people can be so sure a drug is dangerous while vets say the same drug is safe? How do you explain all these animals who have got sick after taking the drug? What about all these illnesses? How do we know if they are being caused by Bravecto? The first thing is that no one is being malicious; there is no scam or hoax. These illnesses really happened. That’s not in doubt. Some of the reports will be true, representing the percentage of adverse reactions we can expect with any treatment. Most will be explained by the phrase drummed into me in statistics classes: “Correlation does not imply causation“. What does this mean? A cat comes in very sick, and clearly in danger. We can’t make a diagnosis from the physical exam, and need to order blood tests. It’s not an option to do nothing while we wait for the results. If we can give pills we will, but that’s very difficult and stressful for many sick cats. Therefore we often recommend Convenia. Now let’s say the worst happens and the cat gets worse or even dies. Was it the Convenia or the underlying disease? We simply don’t know. Convenia’s use is correlated with the death, but is not necessarily causative. Here’s one where I was fooled. 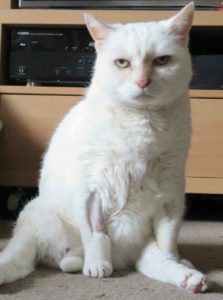 Yuki was almost paralysed in the back legs after a routine vaccination. I absolutely believed the vaccine had caused it. Who wouldn’t? I will always be thankful that her owners took her to a specialist for an accurate diagnosis. She actually slipped a spinal disc in her cat box during transit. If it wasn’t for the MRI I would have spent the rest of my career thinking vaccines cause paralysis. That’s how hard it is to know what’s safe. For another view of the correlation-causation problem, have a look at these graphs. Who knew that eating cheese was correlated with being strangled by your bedsheets, or that when Nicholas Cage is in more films there are more swimming pool accidents? It’s true! Sickness in animals is common enough that there will be many, many times when they are simultaneously on another treatment like Bravecto when they get sick. That’s not in doubt. The big question is: did the Bravecto cause the illness or would it have happened anyway? Let me put it another way. Let’s say a dog gets sick once a year, so there’s a one in 12 chance a dog will get sick in any month. Therefore one in twelve dogs will get sick within one month of even a yearly treatment like ProHeart or a vaccine. The people whose dogs get sick may associate the sickness with the treatment, and they won’t be aware of the other 92% of dogs happily going along normally. These events, whether rare or common, will be easily brought together by online groups. It’s the job of the regulators to decide if such events represent the standard rate of illness in the community or occur more commonly when taking the drug. How Do I Report An Adverse Effect? That’s how unknown side effects are discovered and known side effects are monitored. Every suspected adverse effect should be reported to the manufacturer and your country’s veterinary medicine regulator. Here is the link for the APVMA in Australia. The regulator is then legally bound to make a record of each report. They encourage every suspected adverse effect to be reported. That’s no bad thing, but if you look at the lists you’ll even see symptoms that are almost certainly from the disease being treated not the drug. For example, skin problems for flea products. They then use the same list they had a big part in making to say: “Look how many adverse effects have been reported; we need a recall “. Here’s what they say on ‘Does Bravecto Kill Dogs’. Why Doesn’t The FDA Do A Recall? I think they learned their lesson with the Proheart debacle. That was the first time one of these online campaigns achieved significant momentum, and they DID recall the drug. Continued use in Australia and Europe showed Proheart to be safe and it was re-released in 2008 in the USA. That doesn’t mean reporting problems is a bad thing. We do it all the time and it’s a big part of keeping veterinary drugs safe. There isn’t a drug on the planet that doesn’t have a list of known adverse effects. The trick is that the raw data needs analysis before it can be used. Are adverse effects happening more commonly in treated animals? If so, is the extra risk small enough to be justified by the benefits? Using just raw data or a gut feeling to support a claim is not accurate enough, as I hope you can now see. Why Are Online Campaigns Successful? They also actively suppress alternative points of view on the pages and sites they manage. They do all this out of a deep conviction that they are saving lives. Contrast this with how vets and regulatory bodies need to act. We need to choose our words carefully and stick to the provable facts. It makes us look boring at best, or disinterested or even in denial at worst. We also tend to avoid talking about money even when it’s in our interests to do so. Even when they do the rewards are pitiful: last year my Bravecto sales amounted to 0.25% of turnover. We battled heartworm in Adelaide throughout the eighties and nineties with only limited success before Proheart arrived. Then within six months of the yearly injection’s release in Adelaide, heartworm disease in dogs went from common to rare. Vets in the USA are still having problems controlling this disease, and I have to ask if it could all have been very different. How many dogs died after Proheart was withdrawn who would have been saved? We’ll never know, and the same will happen when any valuable drug gets taken off the market. I saw a dog recently with heart disease who can’t even go for walks or climb stairs. The shocking thing is that I saw the same dog with the same symptoms a year ago and recommended a good heart treatment at the time. Little did I know the owner went home, did an internet search and found a site dedicated to the evils of the drug. So out of fear she did nothing and her dog suffered. It’s a terrible irony that the people who care the most for their pets are also often the most vulnerable to misinformation. If you think pets with fleas don’t suffer, you need to read about the death of my Auntie’s dog Rufus. It’s at the start of our guide to the alternative & natural flea remedies. Yes, this is also personal. Who among our readers isn’t a perfectionist at work? I don’t know one vet who doesn’t care deeply about the effect they have on their patients or would do deliberate harm. We can at least agree that we’re all on the same side. Let’s be open about the risks of adverse effects, and let’s also be prepared to change our views based on the evidence. Yes, there will be times when new drugs are found to cause harm, but we have to approach the problem logically or it’s back to the dark ages. Have something to add? Comments are welcome (if not of an abusive or personal nature) and will appear within 24 hours of lodging. Interesting! It’s not an uncommon practice for pharmaceutical companies to price their products more on what the market will bear that on the actual cost per unit of drug. This could be another example, but care is probably warranted in case the vehicle or concentration or some other ingredient is different. Here is a list of adverse reactions to a drug. Can you guess which one it is? Those of you who guessed Aspirin (acetylsalicylic acid) are correct. Does this make aspirin a bad drug? No; it has healed millions of aches and pains and helped millions with heart disease. It does mean that even the safest of drugs can have adverse reactions. In the vast majority of cases, the benefits of using the medication outweigh the risks of using it, as is the case with Bravecto in most pets. Using Bravecto prevents many unpleasant and potentially life threatening diseases such as Lyme disease, Anaplasmosis, Erlichiosis and Flea Allergic dermatitis to name a few. It also prevents your pet from bringing live ticks into your household which could bite humans and inflict diseases such as Lyme disease. Ask questions of informed and educated professionals. Don’t be swayed by social media hype. Veterinarians are here to help you and your pets. As veterinary salaries are usually less than nurses and teachers, we are certainly not in it for the money. I only became aware of Bravecto at the Vets today. It sounded good but I decided to search it on the net. After what I have read I am not willing to take the risk. My dog means too much to me. I will continue to use Frontline. My dog had a severe skin allergy due to fleas and was tearing himself apart ,with the help of steroids,antihistamines and bravecto it is finally under control and Kaiser is a happy dog again, but I have been slammed by people for giving him bravecto because of horror stories my argument to them is Kaiser was much worse off before bravecto and as with any drugs even in human drugs there are side effects to all some it affects badly some not and also im sure a vets would not sell their customers a drug that would kill their pet anyway my dog has been on bravecto nearly a year now and has been fine so if it works dont fix it . Have you seen the new report from the EMA? Merck is going to be required to add a seizure warning to Bravecto in Europe. So maybe all of these people in Facebook were not wrong after all. And maybe they should add a death warning since dogs have developed seizures after it and died. Thanks Jennifer. Yes, completely agree. Seizures are suspected of being made more likely in dogs taking this class of drugs and we do not recommend their use in dogs prone to seizuring. Up to now interestingly, these label advisories have not appeared on Australian product. Bear in mind though that seizuring in dogs is common and these are only case reports so more work is needed to prove a causal link. However, prudence is best in the meantime. Andrew your ability to write an article without excluding any piece of information from anyone, as long as there isn’t intended malice, is refreshing and speaks volumes of you as an open minded insightful academic – to that I salute you. No individual is to feel threatened and all facts without inflammatory projection are invited. This is the only way to create a discussion where boundaries and opinions are removed and knowledge is gained. Great article – really well written. Thank you for a well written and objective article. I had seen something about Bravecto causing problems . Thank you for such a well written article Andrew. I have been struggling to explain the “correlation vs causality” conundrum with my staff and clients. Now I will just get them to read this! Brilliantly written post Andrew. It always puzzles me why people are so willing to believe information from those with often no qualifications or formal studies in science, medicine, veterinary, etc. and yet won’t believe information provided by those who have spent years studying. Do they perhaps believe that all of those years studying has in fact stunted your brain so that vets and MD’s willing follow perceived lies peddled by ‘Big Pharma’? Don’t they realise that all those years of study have in fact developed your knowledge and understanding to the extent that you would be far less likely to blindly accept unproven and dangerous assertions? Which I might add is exactly what often happens on social media – people with no formal studies in an area making assertions and sharing information from ‘dodgy at best’ sources. And why would they think a vet would ever knowingly prescribe a drug that would harm one of their patients? Have they never met or spoken with a vet and realised the level of compassion they have for animals? I’m not a vet btw but I completely share your and many other’s frustration with this and similar situations. Keep writing, informing and educating and maybe pet owners will find your factual information online rather than the opposite! I am also providing you with factual information on seizures. Are you aware of the new topical form of Bravecto? The manufacturer has released warnings that it can cause seizures in dogs that never had them before. However, they have not changed the product warnings for the oral version. This is very concerning since seizures are amongst the top 10 side effects reported to the FDA. The most common adverse reactions recorded in clinical trials were vomiting, hair loss, diarrhea, lethargy, decreased appetite, and moist dermatitis/rash. Bravecto has not been shown to be effective for 12-weeks’ duration in puppies less than 6 months of age. Bravecto is not effective against lone star ticks beyond 8 weeks of dosing. For topical use only. Avoid oral ingestion. Use with caution in dogs with a history of seizures. Seizures have been reported in dogs receiving fluralaner, even in dogs without a history of seizures. Time connection is reasonable, because 2-3 hourse after administration the dog showed seizures. Neurological signs are a possible adverse event after use of this product. Similar cases have been reported before. Other explanations are possible, but not confirmed. The vet assumed a tumor, but an examination was not performed. Therefore a product relationship is possible. Thanks. Yes we are aware of avoiding the drug in patients at risk of seizures. We do not have the topical (spot-on) form in Australia and it is unlikely we would recommend it if it arrives when there are very good alternatives available. Thank you, but the new topical which includes the same ingredient as the oral mentions it is a risk in dogs with no history of seizures. And there are absolutely no seizure warnings for the oral. Even in dogs that have a history. They have that warning for Nexgard not Bravecto. Thanks Susan. The way vets see it is that if one of a class of molecules is associated with an adverse effect then it’s prudent to look for it with the others. They will still differ of course; for example, ivermectin and selamectin are both avermectins but only ivermectin harms dogs with the MDR-1 mutation. At my vets the vet nurse sells this drug, not the vet and I asked her and she doesn’t warn people about not giving to their pet if they are at risk of seizures. She didn’t know. To me this is an irresponsible practise. 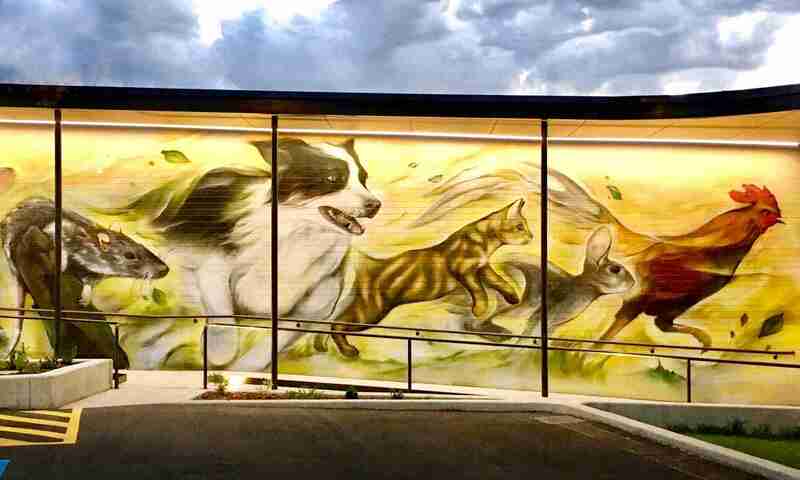 How many other vet surgeries are the same? This drug should be more strictly prescribed. We got to our vets for help and advise otherwise we may as well just buy at the pet shop or online. What do you think Andrew? Hi Carol. Interesting question! 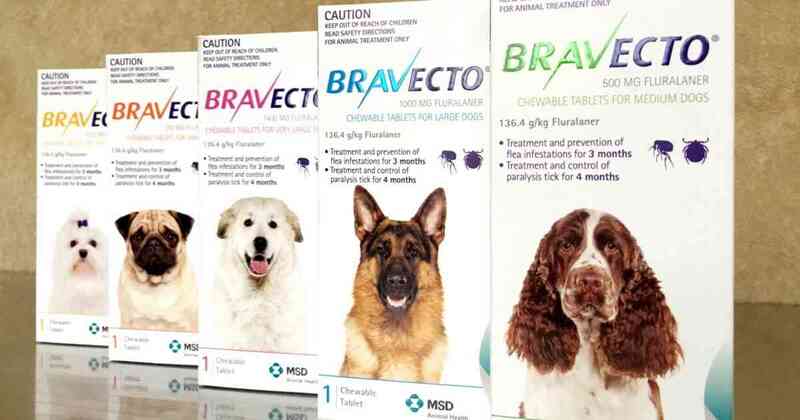 In Australia, product labels for Bravecto do not warn of use in dogs prone to seizures. Therefore the nurse you spoke with was giving correct information. I believe the initial concerns were due to a number of seizures seen in dogs in the USA during the trial stage of Nexgard, a related compound. My feeling from reading the reports is that these dogs’ seizures were randomly occurring and not related to the Nexgard but it has made vets wary of the use of the entire class in seizuring dogs. Time connection is reasonable, because a few days after administration of tablet the dog showed skin reaction. Allergic reactions are a possible side effect. Skin reactions are a follow of allergic reaction. The pharmacological-toxicological profile is fitting. The reason for the death of dog is unexplaned. Very few information is provided and therefore not to assess. In total the case is assess with “B”. After our visit yesterday, and as you are aware I had previously seen these various ‘Anti-bravado campaign sites’ which in my opinion aim to share potential users for their pets and whom are administered usually by lay people. Sorry. Out of my own need to know and interest prior to visiting the surgery I researched and analysed various journal articles on the NCBI journal site. One which we discussed. In reflection, it could be assume those who have been treated may have had an adverse affect possibly due to an underlying medical condition (like my 11yr old girl with DCM). Its only a hypothesis in the end. The Australian Government body APVMA does clearly outline ‘Compliance and enforcement’ for all users of chemicals and approve medical drugs ( agricultural or veterinary ) including any recalls to ensure a quality assurance program for their consumers. Dear, dear and to think most of the general public go to a family doctor today, and expect to walk out of the doctors surgery with a script in hand without asking what, why, how and when to come back!